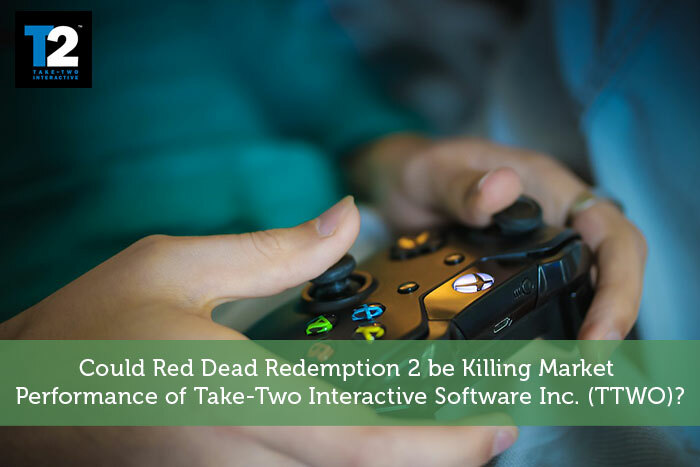 According to some analysts, Red Dead Redemption 2 has not been the success that Rockstar Games, and its parent company Take Two Interactive Software Inc. (TTWO) were hoping for. Is this really true? Look at video games news and you can see that the game has just returned to the top of the charts in the UK following its incredible performance on release, back in November 2018. At that time, the latest Rockstar release had the biggest opening weekend of any entertainment release, and went on to sell 23 million copies for the year. It became the highest selling game of the year, even though it’s release date was not until late autumn. Even so, some analysts suggest that the performance of Rockstar, and therefore Take Two Interactive Software Inc. stock, is being adversely affected by the growth in popularity of free to play digital game content. What is not in doubt is that TTWO stock is not performing well. It was down 5% in Tuesday morning trading, 2/12. New York based Take-Two Interactive Software, Inc. was founded in 1993. It’s intention was to become a major player in video game publishing. The company went public in 1997 and went on to form Rockstar Games and 2K. Take-Two has a highly creditable portfolio of some of the biggest video games titles, including Borderlands, Grand Theft Auto and Red Dead. Today, Take-Two has opted to largely operate in the digital distribution arena, with around half of the company’s profits coming from these sales. It’s this arena where Take-Two is in direct competition with providers of free to play games. Free to play games are currently changing the gaming industry. The attraction of these games is that there is no high up-front cost to pay. The revenue comes from in-game advertising and in-game purchases. It’s this model that some analysts believe is a threat to companies like Take-Two. However, the argument from Take-Two has always been that it provides a high-quality gaming experience. 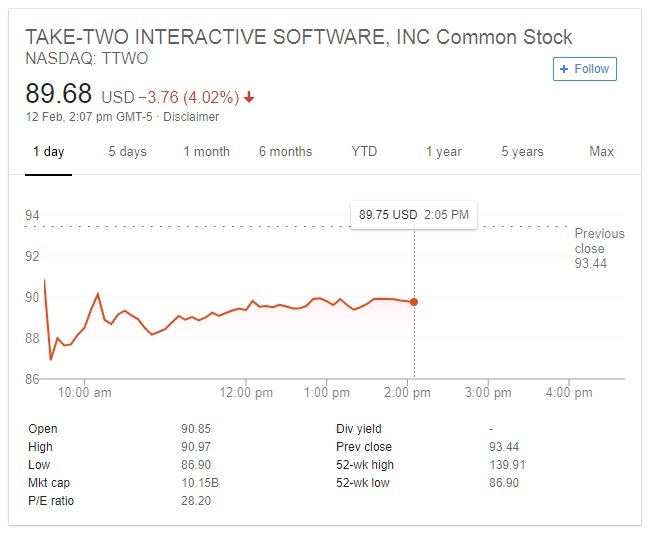 If this is the case, why the fall in TTWO stock? TTWO stock still worth considering? The truth is that despite some analysts criticizing the performance of Red Dead 2, and despite the potential threat of free to play digital content, Take-Two is still performing well. For the fourth quarter of 2018, the company reported $1.57 billion in net bookings. This was well in excess of its predictions of $1.40 to $1.45 billion. The stock issues have occurred because the good performance levels that Take-Two has displayed have not reached the expectation levels of investors. Investment expectation was for reported digital sales for 2018 to reach nearly $680 million whereas they actually reached $654 million. This still exceeded the company’s own predictions. The jury is out amongst analysts, some of whom are still quoting TTWO stock as a good buy option. Given that Red Redemption 2 is still performing well, it seems a little unfair to blame it for Take-Two’s current stock price drop. It’s also a bit early to talk about the company being killed. In truth, Take Two is actually performing above its own predictions and could be a good investment to take a chance on, according to some analysts.